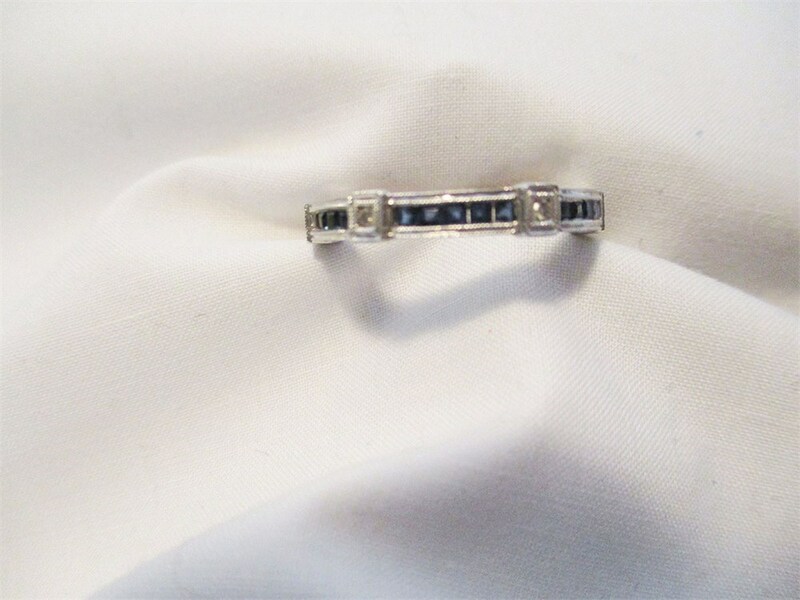 This ring has elegance written all over it. 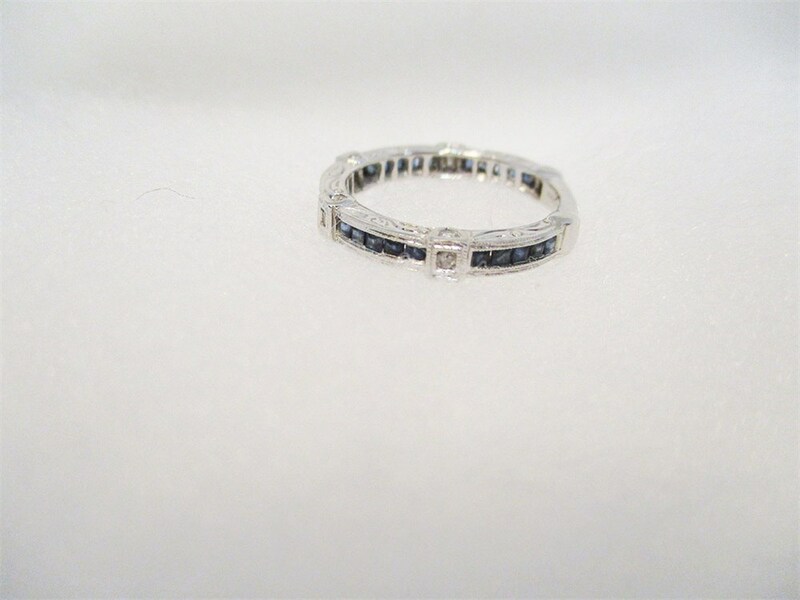 The 14K gold band is set with blue and white stones in a setting that makes a statement. 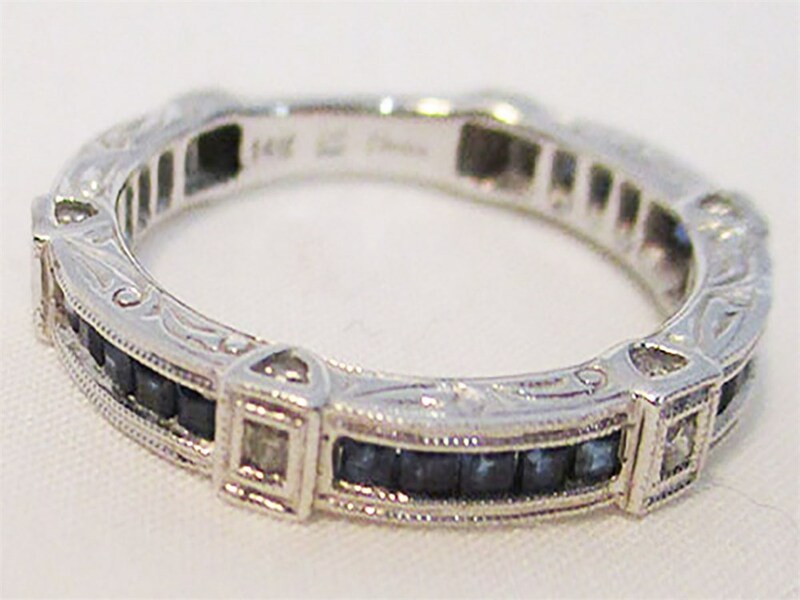 The blue stones measure approximately 2mm each; the white stones measure approximately 3mm each. 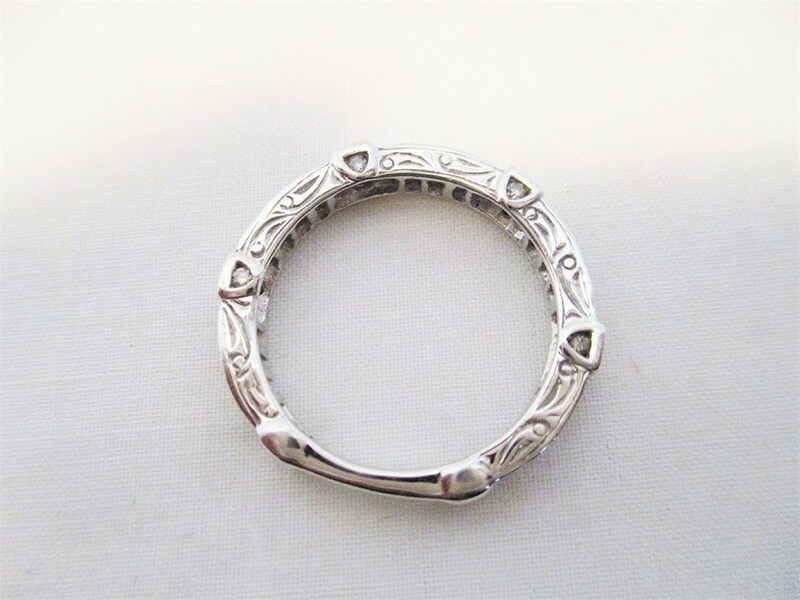 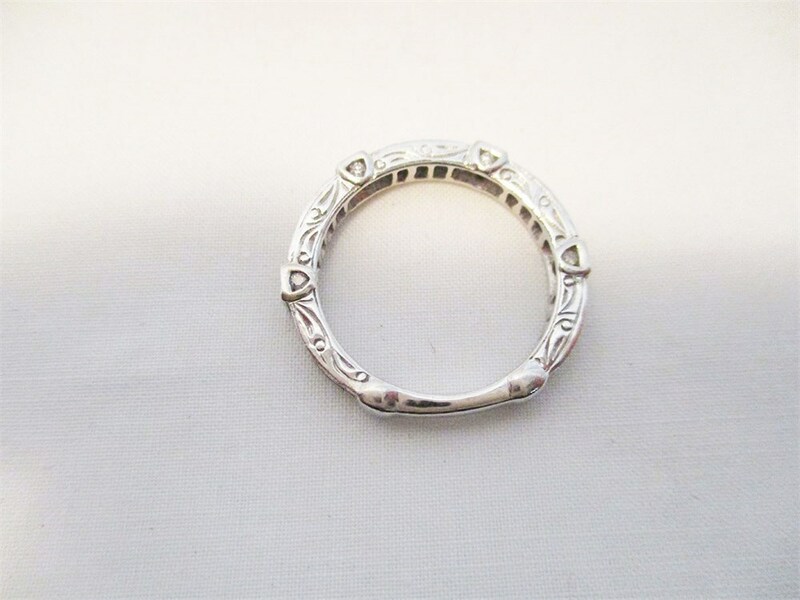 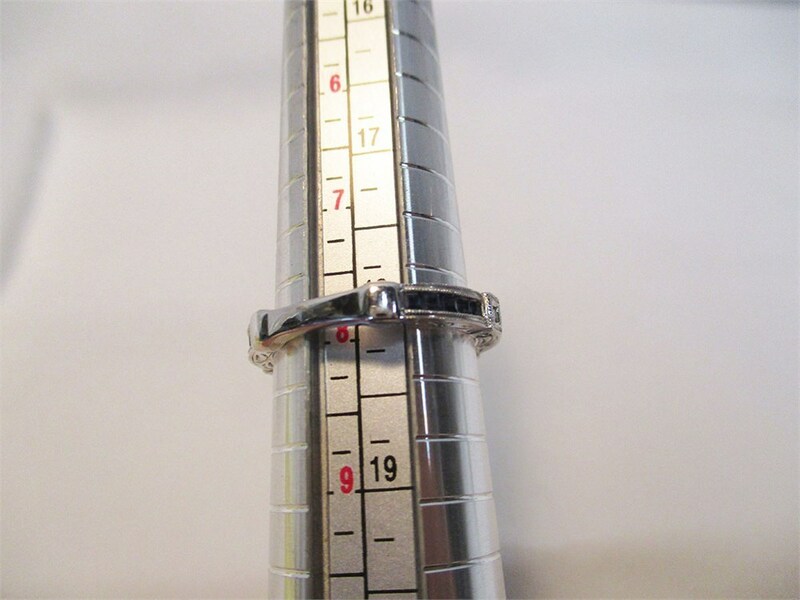 The approximate total weight is 3.7 g. This ring looks to measure at size 8, but please come in to try it on. 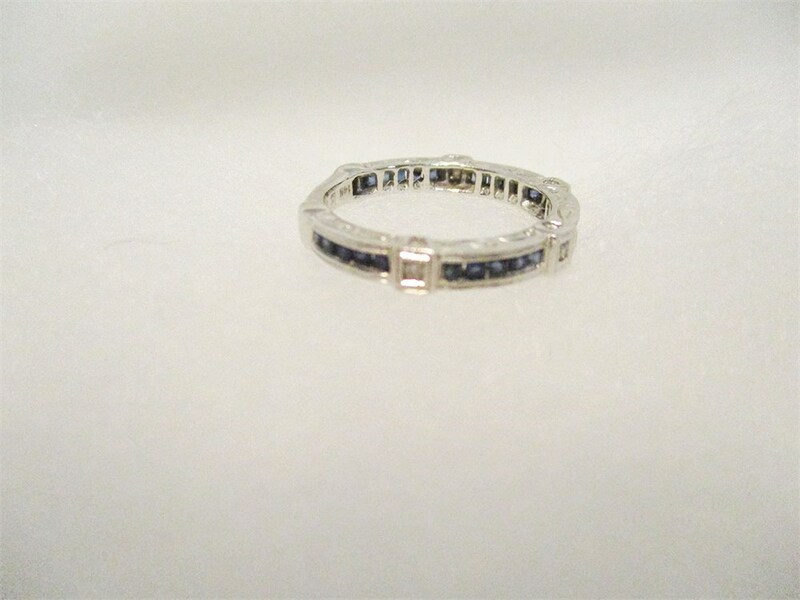 It can be resized.